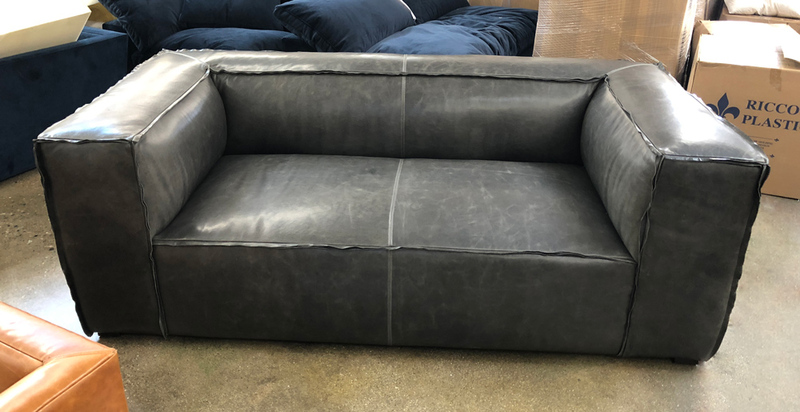 The Bonham Leather Sofa has grown more and more popular over the last several years. Many of our customers love the simple shape, reverse seam detail, and comfortable feather and down topped seat. 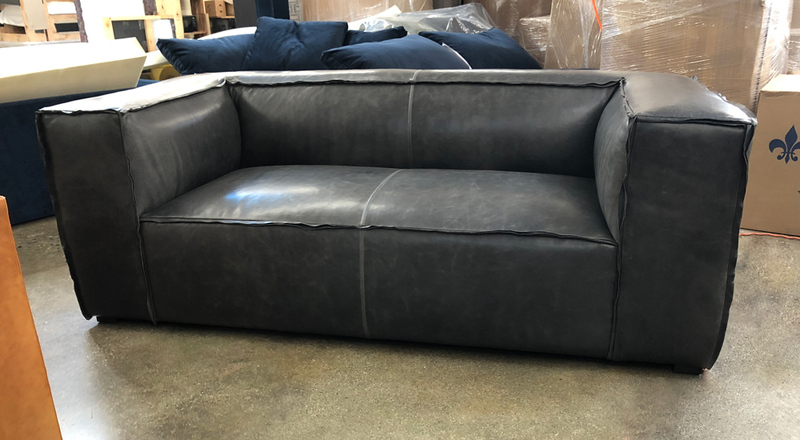 This customer wanted a specific grey, and found the right shade in a color of our Italian Domaine Leather called Cool Grey. 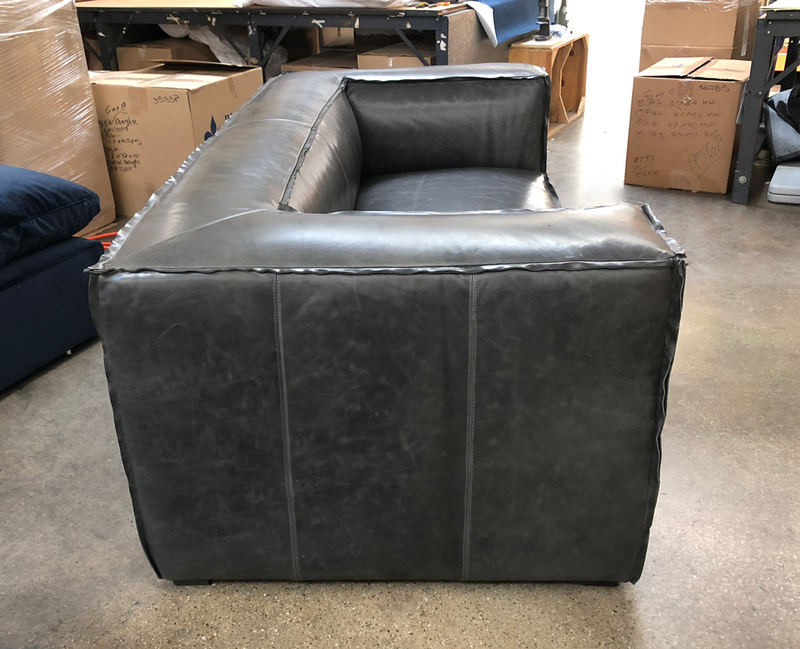 Domaine is a Full Grain Leather using European hides that are un-corrected and display many of the natural characteristics and color variation of the hides. 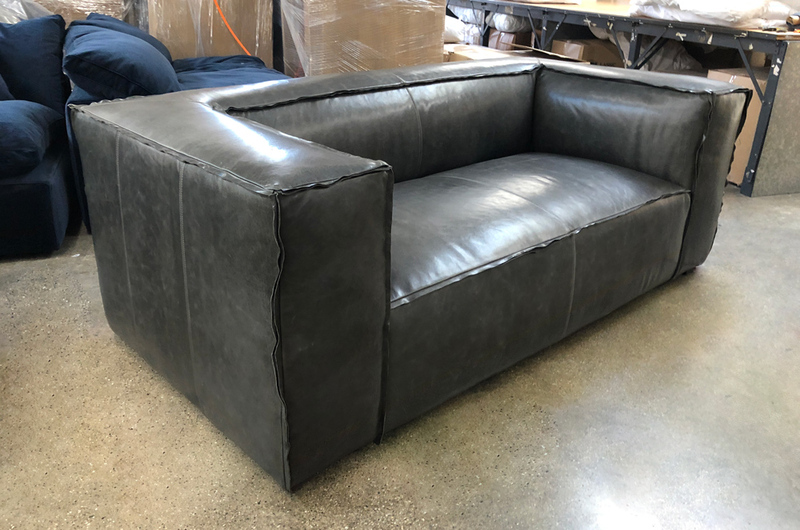 This entry was posted in Bonham, Custom Leather Order Feed and tagged 41" Deep, aniline dyed, Bench Cushion, Bonham Leather Collection, Bonham Leather Sofa, Domaine Cool Grey, Fulham Leather Collection, Fulham Leather Sofa, full aniline, full grain leather, Italian Domaine Cool Grey, Italian Domaine Leather, pure aniline on May 10, 2018 by LeatherGroups.